8:00 am - 5:00 pm, Monday - Friday. 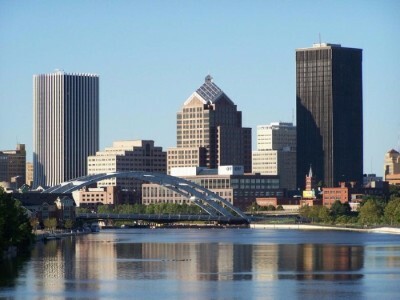 We are proudly located in the back of the historic United States Post Office Building in Downtown Rochester. • I-490 E to EXIT 13, for INNER LOOP toward DOWNTOWN EAST. • Turn LEFT onto SCIO ST.
• I-490 W to EXIT 16 to merge onto S. CLINTON AVE. toward Downtown. 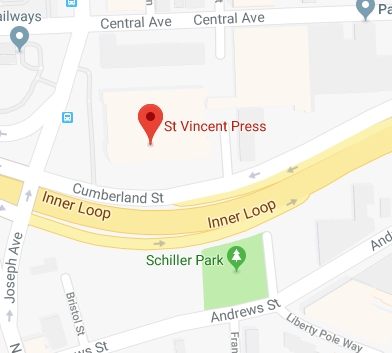 We are located in the back of the US Post Office Building, on the corner of Cumberland St. and Joseph Ave. After driving onto Cumberland St. you will notice a small parking lot between our main entrance and the Church next door. Please feel free to park there. Our offices are located on the first floor of the building in Suite 100.